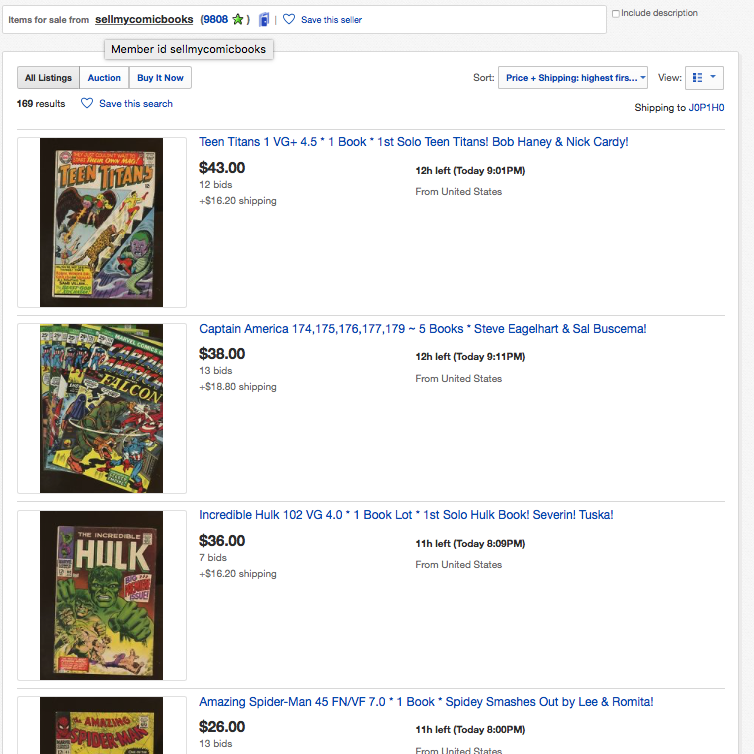 Our online comic book store is exclusively on eBay now. Find our listings below. Or... CLICK HERE to See Our Online Comic Book Store Listings! Need Help With Your Comic Collection? Use these useful links to find out (a) what your comic books are worth, and (b) how best to sell them to us immediately if you wish to raise money fast. Still need help? Click here to contact us and we'll be in touch. 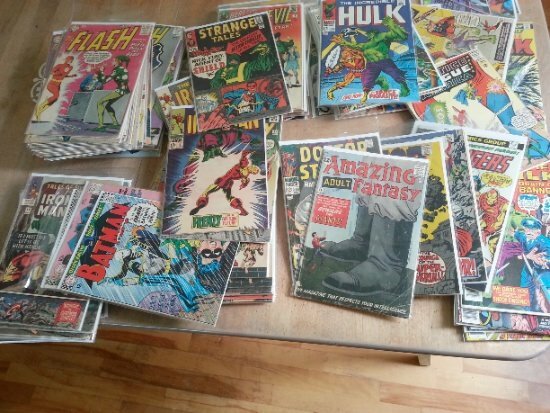 How to Sell Old Comic Books the EASY Way With Our 1-2-3 Method! 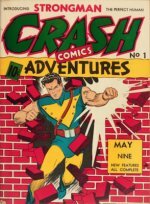 Video instructions on how to take a heap of old comic books and turn them into CASH as fast as possible. We make it simple. Just follow our 1-2-3 method to make a list, send it to us, and we will appraise your books FREE. We have dozens of comic book price guides, with record sales and minimum values for each key issue in the series. 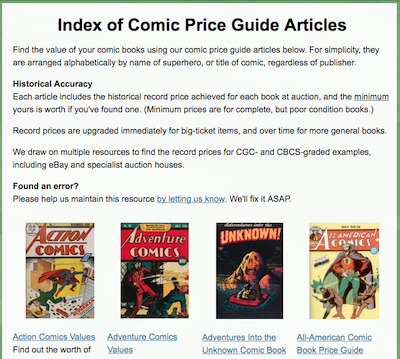 This is a fantastic resource for comic book buyers or sellers! 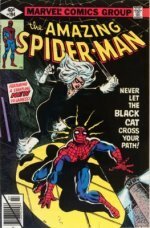 Want to find out what a single comic, or entire collection, may be worth if you sell it? ﻿Start here﻿. We will walk you through the process of making a list and taking photos, using easy to follow videos or how-to written guides. Learn how to figure out what condition your comic books are in, and what impact that will have on a comic's value. It's not a slam-dunk decision to send your comics to a grading company. Hopefully, you can avoid the mistakes other people make. Quick links to all our online comic price guides, from Marvel, DC and independents, and all our FREE reader appraisals. We also publish links to our articles, newsletters and archives. We've rounded up all the key first issues featuring heroes and villains. 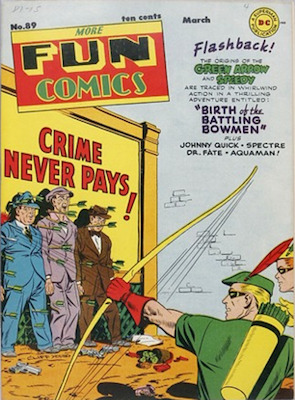 This includes Golden Age and Silver Age first appearances, origin issues and sometimes death issues. Find their values here.